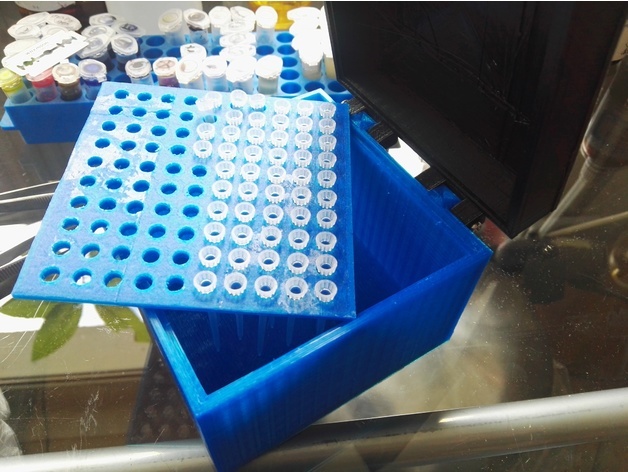 Pipette Tip stand 10µl #3DThursday #3DPrinting « Adafruit Industries – Makers, hackers, artists, designers and engineers! a stand for micropipette tips. the holeplate can be swaped for different sized holes and therefore for bigger volumina tips. did a bad thing on the hinge, it should be rounded to be perfectly functional though it works like it is too. didnt print with support so thats the reason for the bad quality. check the measurements before printing!